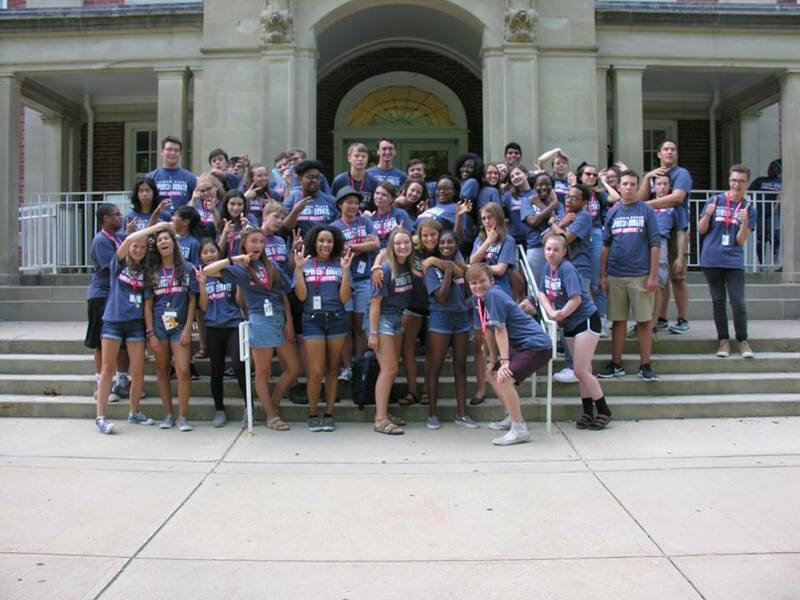 The annual Illinois State University Summer Speech and Debate Institute had another successful summer this year. Undergraduate and graduate students in the Illinois State Speech and Debate Forensics Union have offered the Summer Institute for four decades with the help of faculty. Every year, they gather to share their knowledge with high school students all over the country. With Illinois State having a nationally recognized forensics team with 10 national team championships and over 80 titles, the team “gave back” to younger speech and debate members again this year. Director of Forensics Megan Koch helped lead 95 students as they flocked to campus to work on their events for speeches and gear up for their upcoming speech and debate seasons at their area high schools. While most students commuted from Illinois high schools, many traveled from California, Colorado, Michigan, and Missouri just to work with the camp’s prestigious staff. “This year we had students from all over,” said Illinois State Forensics coach Alex Kritselis ’09, M.S. ’18. “I think that speaks to not only how much fun students have at our camp, but also to the caliber of our coaching staff. Many students fall in love with Illinois State during their stay. School of Communication (SoC) graduate student Kirsten Bridgemen ’18 first enrolled at Illinois State to get her undergraduate degree in English and ended up falling in love with the speech camp program. This led her to her decision to continue at Illinois State and pursue her graduate degree. Kritselis attended the Summer Speech and Debate Institute in the summer of 2004 and decided he wanted to compete for Illinois State’s speech team. This experience influenced his decision to come to Illinois State for his undergraduate, graduate, and doctoral degrees. The Summer Speech and Debate Institute has been extremely influential over the years. It has helped high school students not only perfect their speech and debate skills, but also make new friends, learn about new opportunities for speech and debate at a collegiate level, and can see all that the SoC has to offer.